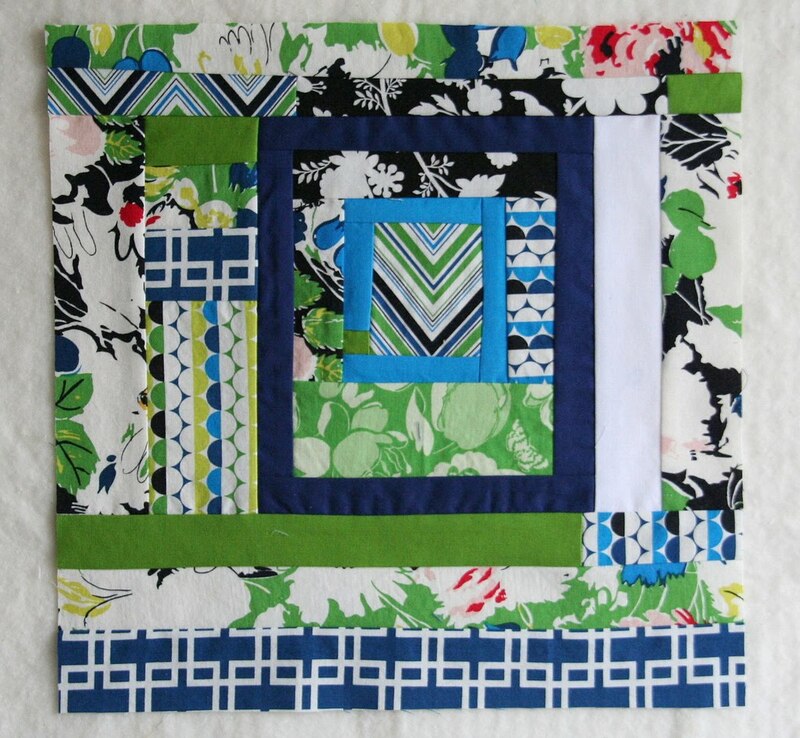 This is my May’s Pieced Together block for Colleen. I love the fabrics she sent, especially with the black thrown in there. Today is spray painting day for me. Yesterday we did some serious thrifting and got some treasures to bring home that need some re-painting. I used to whine endlessly when my husband would drag me into thrift stores, now I love it. Its like a treasure hunt, and half the time my husband thinks I’m buying total crap. And half the time he’s right. But still, its so much fun. So now the spray painting part, by tonight I should be at least a few million brain cells lighter. Here’s another appliqued pillow I made this weekend. The flower is very bright and summery. this block is so pretty…those fabrics are amazing….i hope we will get to see some before and afters of your newly spray painted treasures! I agree with Leslie, would love to see some before and afters of our thrift store finds!! I absolutely LOVE that pillow!!! So cute! I had such fun using those fabrics. I had to resist buying a whole bunch for myself! Both the pillow and the block are so nice! I hope to get to see the finished thrift store products. Both are nice but I really LOVE that pillow- so cheerful! 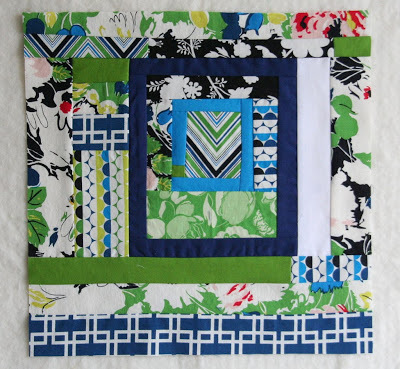 The block is great I love the fabric. The pillow would make any room happy. I feel the same way about thrifting – my hubby used to drag me, now I love it. It’s like a grown-up treasure hunt, don’t you think? Keep up the good work! I love thrift store buys and they way we can make them shine again. 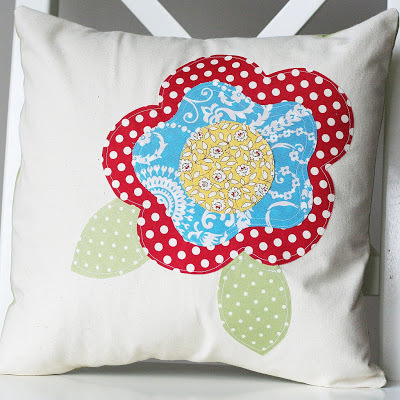 I love the pillow it is bright and cheery…great for an outdoor retreat!! I love to spray paint thrifted things too! I remember hating going to thrift shops with my mom when I was little and now I can't let a week pass without going to at least one. I have posted some of my spray painted stuff on my blog if you'd like to take a peek. CUTE pillow :) love your block too!